pain changes from David Lang's 'death speaks' from Red Poppy Music on Vimeo. David's video for "pain changes" from death speaks premieres today on stereogum.com. Additionally, death speaks is released today in limited edition vinyl. SHARA WORDEN: So David, I’m writing this to you on Halloween. I’m thinking about ghouls, gore and apparitions. How appropriate it is that we are talking about the voice of Death right now. It wasn’t the easiest task in the world for me to think about singing as Death! Where did this text come from, and how was it that you even had the idea of writing a song cycle from this perspective? DAVID LANG: And a very convincing and lovely Death you are, may I say! I wanted to write some songs, so I started thinking about the 19th-century Viennese composer Franz Schubert. His songs are beautiful and heartfelt and full of romantic excess. I was listening to one song in particular, called “Death And The Maiden,” in which Death is a real character, and he sings to the maiden to calm her down. I thought, that’s interesting — Death is speaking directly to us in our language. I poked around a bit in the rest of Schubert’s (600-plus!) songs and found 32 moments where Death says something to the living, so I thought I would use those as my lyrics. WORDEN: This video has a really temporal aspect to it. The change that occurs is very slow and almost imperceptible. When you first showed it to me, I couldn’t believe how much it felt like the visual manifestation of your music, which uses these really sparse elements, and then it almost reflects your musical world too, in which the listener develops a texture sensitivity or something — like the ear becomes really sensitive to the slightest variations in the music over time, and then these seemingly small changes become really dramatic. Was this something you had thought about with the video concept or was it a happy accident? LANG: I like really simple things, in music and in everything else. But the idea for the video really came out of your performance. When you sing this piece, it always feels like you have a message for me, personally, and it is truthful and direct and I want to face it straight on. So I thought that all I really needed to see in the video was you, singing right at me. WORDEN: What made you decide to put this group of musicians together — Owen Pallett, Bryce Dessner, Nico Muhly and I — to be the ensemble of death? I have to say that eating out with this crew, is like, the fanciest food I have ever eaten on tour … fine dining experiences. WORDEN: When you are sitting down (do you sit down?) to write this kind of piece, how does it work in the beginning? Because it seems like there are a fairly strict set of rhythmic principles, and then also a specific group of pitches (in any octave) that are like your puzzle pieces, and then you organize them, but somehow I still have the feeling that the music is free—like you set up these rules and then you break them. Do you begin with these guidelines, and then as you are going, make decisions about the interaction of these puzzle pieces and make little changes here and there, or is it more like a grid that is laid out, and then you get surprised by the way the pieces fall into place? LANG: I do like puzzles. I just had to remove sudoku from my iphone because I was wasting too much time playing it every day — I am really a puzzle addict and it gets into my work. I like to set up little chains of actions and then follow where they lead. But I don’t like the patterns to boss me around—they sort of help to make the skeleton and I am much freer about how to put the flesh on the bones. WORDEN: There seems to be this generation of composers before you who were really individualistic, and yet your collective (is that the right word?) Bang On A Can has really set the model for a lot of us, I think, as a group of composers supporting each other, and the community aspect of what you all do is so in the forefront. It’s an “all the boats go up when the water rises” kind of mentality; it seems like you, Julia [Wolfe] and Michael [Gordon] really support each other, as well as other new music groups with the Bang on a Can Marathon every year, where other composers can showcase their work. I feel like a lot of the New York composer community, and the collaboration that happens with my generation and younger, is because you all modeled that for us. Did you all feel like you were doing something different when you first started? LANG: That is really kind of you to say. It is exactly right, that all the boats go up, but that wasn’t really the attitude of the world I grew up in. I have a really nerdy, legit classical music background, and when I was studying I always felt that composers were supposed to be selfish around each other, that there was one position in the world for a successful musician and you could only get it by pushing all the other musicians in front of a bus. When I met Michael and Julie, we just decided that it would be much more pleasant to live in a world where composers were nice to each other, supported each other, and actively helped to build. I am really excited that my piece 'man made' for So Percussion and orchestra is now up on the BBC site, ready to be heard. 'man made' was co-commissioned by the BBC Symphony Orchestra and the Los Angeles Philharmonic, and it premiered this past May at the Barbican, played by So and the BBC Symphony, conducted by Jayce Ogren. You have to listen fast - the recording is only posted this week! Only 5 more days left! Since I wrote the piece for my friends in So Percussion I wanted to take advantage of the things they like to do - create theatrical environments, use weird things you don't usually think of as instruments, play super hard music that is intricate, oddly emotional and sometimes very loud. In 'man made' every musical idea starts with the soloists, playing on something that is not normally an instrument, or in an orchestra. The first section begins with So snapping twigs and then dropping them on the floor, for which I have carefully notated both the snapping and the dropping. The second section uses tuned wine bottles, the third section uses tuned metal pipes and trash cans, the last steel pan and drum set. In each of these sections the percussionists in the orchestra 'hear' the soloists, translating the solo sounds into more normal percussion instruments, and inviting the orchestra to join them, which quickly overwhelms the solo part. It is a kind of ecology of how ideas get invented, adopted and then overused, a kind of boom-and-bust cycle for orchestra. WIth twigs. The broadcast includes premieres by Nico Muhly and Paola Prestini, and much enjoyable and informative chit chat from Nico between the pieces. Their pieces are also really nice to hear on this broadcast! But if you only have 23 minutes to spare, Nico's introduction to my piece is at about 18' in and then my piece starts at about the 19' mark. The whole broadcast is only up for the next 5 days, so you might want to listen to it pretty soon. If you miss it you can't hear it again until the LA Philharmonic and So Percussion give the American Premiere next Fall. And if you should get a chance to listen to it and have any comments or questions for me please don't hesitate to get in touch. Susan Marshall Dance releases music video featuring David Lang's rockin' music! The Internet has lately been of particular interest to Mr. Lang. In 2011, he hosted a crowd-sourced competition in which musicians could submit YouTube videos of their renditions of one of his piano pieces. For “Death Speaks,” he used the Internet to browse through hundreds of Schubert songs for mentions of death, and constructed his text out of them. The “whisper opera” libretto presents prosaic, personal thoughts gathered from sources like Twitter feeds and Tumblr posts. Googling selections from the text reveals some lines to be less secret than Mr. Lang may have intended. One search led to a Miley Cyrus song, another to the memoirs of Representative Charles B. Rangel. Mr. Lang’s use of technology as a symbol of modernity does have an operatic precedent. In the 1920s, composers like Weill, Hindemith and Krenek wrote Zeitoper — German for “opera of the time” — set in factories and nightclubs and filled with newfangled devices like telephones and record players. Later in life, Krenek expressed ambivalence about the marvels he had introduced to opera, calling them “not really miracles, but just perfectly ordinary objects from everyday life.” Mr. Lang’s Internet secrets are similarly commonplace, but serve a different purpose. Rather than use technology to symbolize dehumanization, he finds the deeply personal in the anonymous Google search. Both Zeitoper and “the whisper opera” elevate the mundanely modern to the exalted sphere of opera. But Mr. Lang’s work speaks less to an era of the machine than to our era of Facebook sharing. This humanization figured into Mr. Lang’s stringent restrictions on the opera’s performance. The audience will not be given a libretto or surtitles; seating is limited to 40 each performance; and audio or video recording is forbidden. This approach seems to address the anxieties that some carry about technology’s recent intrusions into opera: two decades ago, the fierce debates over surtitles; today, worries about amplification and the potentially pernicious effects of HD broadcasts. Some reviewers who criticized the Met’s new “Ring” cited its overreliance on a multimillion-dollar stage machine that sacrificed drama for spectacle (when it worked). From July 20 through August 22, 2013 Glimmerglass Opera in Cooperstown, NY stages 2 works by David Lang, directed by Francesca Zambello. His Pulitzer Prize-winning choral work, the little match girl passion and a new work, when we were children, commissioned specifically for this performance by Glimmerglass Opera. August 10 - 13 Lincoln Center's Mostly Mozart Festival and the International Contemporary Ensemble (Tony Arnold, soprano) present the New York premiere of David Lang's the whisper opera for soprano and four instrumentalists, directed by Jim Findlay. Commissioned by ICE and premiered at Chicago’s Museum of Contemporary Art, the whisper opera is a fragile exploration of secrets and the tension between what we hide and what we reveal. Almost all the music you could ever want is on the internet right now, recorded perfectly and played perfectly and accessible immediately, 24 hours a day. On the one hand this is fantastic—I can hear huge amounts of music, from different genres and time periods and traditions and cultures, any time I want. On the other hand, I love hearing music live. If most music is now available and recorded perfectly and ever present, is it possible that the meaning of hearing music live will change? For the past few years I have been designing pieces that try to highlight things that can only happen live. I have written pieces that are so hard that watching the musicians struggle to perform them becomes a central part of the experience; I have written concert pieces that have elaborate theatrical instructions; I have written pieces whose power comes from the emotionality of hearing them from inside a community of listeners. With the whisper opera I had another of these ideas—what if a piece were so quiet and so intimate and so personal to the performers that you needed to be right next them or you would hear almost nothing? A piece like this would have to be experienced live. In honor of this, the score to the whisper opera states clearly that it can never be recorded, or filmed, or amplified. The only way this piece can be received is if you are there, listening very very closely. NPR Music announced their 25 Favorite Albums of the Year (so far)... and David Lang's 'death speaks' is on their list! You probably wouldn't expect The National's Bryce Dessner and My Brightest Diamond's Shara Worden to work on a classically focused project inspired by Franz Schubert, but that's exactly what happens within composer David Lang's amazing Death Speaks, which also features Nico Muhly playing piano and Owen Pallett on violin. In this song cycle, Lang creates incredibly intimate, often terrifyingly visceral experiences, with texts borrowed from Schubert's songs. Despite Lang's ice-cool textures, emotions run hot and quick. "Nothing escapes me," Worden sings, personifying Death — and it's easy to believe her. The companion piece on this album, Depart, features Maya Beiser's multi-tracked cello and four voices; it comes as luminous, sweet relief. David Lang's newest work, the whisper opera, receives its world premiere on May 30 at the MCA in Chicago by the International Contemporary Ensemble with Tony Arnold as solo soprano. This one-of-a-kind work is performed with the musicians, singer, and audience enclosed in an intimate, onstage set. Composed for flute, clarinet, percussion, cello, and solo soprano, the music and the environment work together to convey themes of secrets, and the tension between what we hide and what we choose to reveal. the whisper opera is inspired in part by Lang’s visits to rural Italy, where he was surprised to experience the powerful intimacy of small opera houses. Lang has turned to Jim Findlay to direct the work and create the particular stage design needed for the intimate setting of the whisper opera; Findlay is an influential and delightfully provocative force as a designer and director in New York’s experimental theater world. "Art songs have been moving out of classical music in the last many years," writes composer David Lang. "Indie rock seems to be the place where Schubert’s sensibilities now lie, a better match for direct story telling and intimate emotionality." Lang's death speaks, along with his work depart, is released on Cantaloupe music on April 30. In death speaks -- co-commissioned by Carnegie Hall and Stanford Lively Arts, and written for Bryce Dessner, Nico Muhly, Owen Pallett and Shara Worden -- Lang explores art song with the help of a group of classically trained artists who made their careers in the indie rock world. In depart -- written for cellist Maya Beiser and vocalists Elizabeth Farnum, Katie Geissinger, Alexandra Montano, and Alex Sweeton -- Lang creates a sonic environment where listeners can examine their personal grieving process. The recording was produced by Bryce Dessner, co-founder of the band The National. death speaks received its world premiere on January 27, 2012 at Stanford University and is, in part, a companion to Lang's Pulitzer Prize-winning composition the little match girl passion. Lang found inspiration in Schubert lieder, particularly in the texts for such songs as "Death and the Maiden" and "Die schöne Müllerin." Lang writes, "What makes the texts of these Schubert songs so interesting is that Death is personified. It isn't a state of being or a place or a metaphor, but a person, a character in a drama who can tell us in our own language what to expect in the World to Come." Just as the text for the little match girl passion is made up of Lang's paraphrases of texts from Bach's St. Matthew Passion, the libretto for death speaks quotes every instance in Schubert of Death speaking directly to us, taken from 32 different songs. To support the album, death speaks will be performed several times over the 2013-14 season. On April 30 and May 1, 2013 selections from death speaks will be performed by Shara Worden, Bryce Dessner and Nico Muhly with eighth blackbird at the MCA in Chicago. On May 2, 2013 Worden, Dessner and Lang are presented by the Apple Store in Chicago on N. Michigan Ave. On May 12, 2013, Muhly, Worden, and violinist Pekka Kuusisto will perform the piece at the Barbican, London. death speaks will also be prominently featured at the 2013 Bang on a Can marathon. There it will be performed by Worden and the Bang on a Can All Stars. On April 8, 2014, death speaks will be performed as part of the Los Angeles Philharmonic's Green Umbrella series. The album also features Lang's work depart, commissioned by the hospital Raymond Poincaré in Garches, France. Deliberately written so that it cannot be performed live -- the unending vocal parts are performed without spaces for breath -- the work was recorded by cellist Maya Beiser and vocalists Elizabeth Farnum, Katie Geissinger, Alexandra Montano and Alex Sweeton. The genesis of depart came when the doctors of Raymond Poincaré commissioned Italian artist Ettore Spalletti to design a comforting space where families and friends could come and say goodbye to their loved ones. "The hospital contacted Lang and British artist Scanner to design two musical soundscapes to accompany the designer's beautiful azure room". Of the music, Lang has commented, "Music goes into you. It bypasses all your normal protection mechanisms. It goes to the place in you that is not accessed with language or rationality... and I imagined the music in this morgue as having this horrible power to make people feel cold or make people break down, and I wanted to do something much more neutral, which was to say: here is an environment which does not tell you specifically how you are suppose to feel, but gives you permission to feel whatever you need to feel, in that moment. I wanted to make something that gave people permission to examine which way they wanted to go with their emotions." David Lang's work is by turns ominous, ethereal, urgent, hypnotic and unsettling, but always emotionally direct. Washington Post critic Tim Page has written, "I don't think I've ever been so moved by a new, and largely unheralded, composition as I was by David Lang's 'little match girl passion,' which is unlike any music I know." Lang's music has been heard at Tanglewood, the BBC Proms, Lincoln Center, Southbank Centre, Carnegie Hall, the Kennedy Center, Brooklyn Academy of Music, and the Barbican Centre; and alongside the choreography of Twyla Tharp, Benjamin Millepied, La La La Human Steps, The Netherlands Dance Theater, and Paris Opera Ballet. Lang won the 2008 Pulitzer Prize in music for the little match girl passion. The recording on Harmonia Mundi was awarded a 2010 Grammy Award for Best Small Ensemble Performance. In addition to being named Musical America's 2013 Composer of the Year and Carnegie Hall's Debs Composer's Chair for 2013-2014, Lang has also received grants from the Doris Duke Foundation, the Guggenheim Foundation, Foundation for Contemporary Performance Arts, National Endowment for the Arts, New York Foundation for the Arts, and the American Academy of Arts and Letters. His recordings include this was written by hand, the little match girl passion, pierced, elevated, child and the passing measure. His film credits include Requiem for a Dream, (Untitled) and The Woodmans. Lang is a professor of composition at the Yale School of Music. 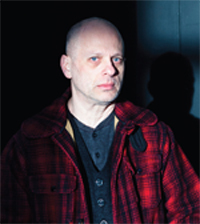 David Lang is among 20 of America’s most vital artists working in the fields of contemporary dance, jazz and theatre announced by the Doris Duke Charitable Foundation (DDCF) as recipients of the 2013 Doris Duke Artist Awards. death speaks on NPR's "First Listen"
Although we all eventually face death, it's a topic most avoid — except perhaps for philosophers, who explain it to our heads, and artists, who present it to our hearts. Composer David Lang offers something for both head and heart — and goes one step further in his new song cycle, Death Speaks. Here, death is less a lofty concept than a personality. "It isn't a state of being or a place or a metaphor, but a person, a character in a drama who can tell us in our own language what to expect in the World to Come," Lang wrote for the Carnegie Hall debut of the piece last year. The new album comes out April 30. Inspired by Franz Schubert, Lang studied the composer's 600 songs, noting which ones disclosed a message from death personified. Lang plucked excerpts, translated their texts and recast them with his own music, creating a set of five portraits in song. Particularly struck by Schubert's "Death and the Maiden," in which a young girl's fear of death contrasts with death's own comforting response ("You shall sleep gently in my arms"), Lang weaves a thread throughout the cycle that explores a duality of fear in life and comfort in death. Playing the role of death in Lang's cycle is Shara Worden (the voice behind the band My Brightest Diamond), whose otherworldly, quivering delivery makes for a beautifully expressive, slightly disturbing protagonist. She's joined by violinist Owen Pallett, prolific composer-pianist Nico Muhly and guitarist Bryce Dessner of The National. Lang's songs are as delicate as lullabies, but don't let them fool you. "You Will Return," a music box of plucked notes smoothly interlaced, ends with an eerie intonation: "In my arms only you will find rest, gentle rest." More menacing is "I Hear You," punctuated by Worden's pounding bass drum and an offering of protection from dreams. And "Pain Changes," with its lonely guitar notes and raspy violin, sets a stark, funereal tone, promising a pain-free place of healing six feet under "in the cool, dark night." If all this sounds just too exquisitely morbid, you can think of the second half of the album as either a tranquilizing chaser or the gorgeous "white light" of the afterlife. Depart is scored for the multi-tracked cello of Maya Beiser and four wordless voices. It takes a page, lovingly, from the feather-light vocals in Brian Eno's Music for Airports and the gentle rocking motion of Morton Feldman's Piano and String Quartet. Like Emily Dickinson, no one wishes to "stop for Death." But Death Speaks "kindly stops for us," offering a chance to engage with our fate as we fight it off. David Lang — Carnegie Hall's 2013–2014 Richard and Barbara Debs Composer's Chair — embodies the restless spirit of invention with his creation of new forms that defy categorization. The musically omnivorous creator references folk, pop, and jazz influences in his compositions, while at the same time being deeply rooted in the classical tradition. His cultural openness also informs the performers with whom he collaborates. Building on his work with New York’s legendary music collective Bang on a Can, Lang has helped design a workshop—Creating New Music—in which young composers and chamber ensembles will be mentored in the process of creating, rehearsing, premiering, and promoting new works, commissioned specially for the occasion by Carnegie Hall. In addition to performances of several of his own works this season, Lang has taken the opportunity to look beyond his compositions at a broader musical landscape by curating the collected stories project. Commemorating the 10th anniversary of Zankel Hall, the multi-genre series showcases different modes of storytelling in music, from medieval Beowulf to conceptual Cage to world premieres, pulling together disparate threads from past and present and across many traditions to highlight the ways music and narrative work together. Members of the Crossing, a choir of 24, at the Metropolitan Museum. At holiday time, the Metropolitan Museum of Art draws countless visitors to its Medieval Sculpture Garden to see the splendidChristmas tree and 18th-century Neapolitan crèche. The garden has also been a special site for holiday concerts. The museum has put much thought over the years into choosing appropriate seasonal music, especially early music. David Lang’s choral work “The Little Match Girl Passion” might seem at first a tragic piece for a Nativity concert. Yet, on Sunday evening, the Crossing, the impressive 24-voice ensemble, ended a varied program of pensive, contemporary choral pieces with a performance of this nearly 40-minute score, which won Mr. Lang the Pulitzer Prize for music in 2008. I cannot imagine a more appropriate occasion and setting to hear this poignant and, by the end, consoling piece. “The Little Match Girl Passion” tells the Hans Christian Andersen story of a poor child whose abusive father forces her to sell matches on the street. On New Year’s Eve, shoeless, sick and nearly delirious, the girl freezes to death. Her body is found the next morning. There are many ways to tell the story, as Mr. Lang writes in a program note. For him, Andersen’s tale is “a kind of parable, drawing a religious and moral equivalency between the suffering of the poor girl and the suffering of Jesus.” The girl “is scorned by the crowd, dies, and is transfigured,” Mr. Lang explains. He wrote his own text, based on Andersen’s tale; the Gospel According to St. Matthew; and passages by Picander, the librettist of Bach’s “St. Matthew Passion.” The result is a soft-spoken contemporary choral work in the manner of a Bach passion. The piece is at once an understated narrative and an ethereal meditation. The original version was written for just four singers. The Crossing performed the choral version, which occasionally incorporates some percussion instruments (including chimes, small cymbals, a bass drum) played by members of the choir. Introducing a technique that Mr. Lang uses throughout, the phrase “Look, daughter” becomes an almost obsessive, cyclic riff, with the word “look” insistently repeated. In the narrative sections, taken from Andersen, the chorus often delivers the words in short segments of ascending phrases that stop abruptly, then start again. “Dearest heart,” paraphrasing a Bach chorale, is sung in almost holistic block harmonies. When the little girl’s story turns desperate, as she cannot ward off the cold and fears a beating from her father, the phrases are uttered in nervous, staggered bursts. Eventually, the girl strikes some matches for a bit of warmth, during which she has visions of a Christmas dinner of roast goose and imagines her loving grandmother, who has died, all captured in music that finds common ground between modal contemporary harmonies and Medieval chant. Toward the end, the grandmother appears to the match girl and escorts her to heaven. The work ends with another Langian paraphrase of a Bach chorale, “We sit and cry,” which comes across like a benediction. The singers of the Crossing, under their director, Donald Nally, have a rich, warm and beautifully focused sound, ideal for Mr. Lang’s score. Mr. Nally carefully balanced textures so that the overlapping voices and motifs came through clearly and naturally. In the first part of the program there were sensitive and accomplished performances of diverse works by the Latvian composer Eriks Esenvalds; the Danish composer Bo Holten; Jonathan Dove and Andrew Gant, both British; and the American James Primosch. The concert was sold out. Perhaps having the Crossing perform “The Little Match Girl Passion” before the Nativity crèche will become a Met Museum holiday tradition. David Lang has been appointed as holder of the Richard and Barbara Debs Composer's Chair for Carnegie Hall's 2013–2014 season. Full details about the concert activities associated with his residency will be shared in late-January as part of Carnegie Hall's full 2013–2014 season announcement. But we can reveal that a key element of his season-long appointment includes a special collaborative workshop in November 2013, offering commissioning opportunities for composers and chamber ensembles. Creating New Music will invite several young composers and chamber ensembles to work together on the creation and performance of new works specially commissioned by Carnegie Hall. For this six-day workshop —presented by Carnegie Hall's Weill Music Institute from November 15–20, 2013—Mr. Lang will be joined by Claire Chase and members of New York's International Contemporary Ensemble as they coach the young artists through a dynamic process of collaboration, culminating with the public premieres of their new works in Zankel Hall. Composers and ensembles are invited to jointly apply for this opportunity by February 1, 2013. Those accepted into the workshop will be asked to submit commissioned scores by September 1. Complete workshop information can be found here. "Over the years, Carnegie Hall has had the pleasure of working with David—a composer of remarkable talent and imagination—and we've featured his music frequently on our concert series," said Clive Gillinson, Carnegie Hall's executive and artistic director. "We're looking forward to collaborating with him closely on his programming for the coming season and are especially excited about his fall workshop. We're certain that the young composers and ensembles involved will benefit greatly from his knowledge and musical insights." "I am so excited to be working with Carnegie Hall, and so honored," said Lang. "Carnegie has been a big part of my musical life. I am a composer because when I was a boy, I saw one of Leonard Bernstein's Young People's Concerts broadcast from Carnegie Hall. My first performance in New York was in 1982 with violinist Leslie Shank and pianist Jon Kimura Parker in Weill Recital Hall. My first orchestra performance anywhere was in the big hall in 1984 as the first-ever recipient of the New York Youth Symphony's revolutionary First Music commissioning program. And, of course, Carnegie commissioned my Pulitzer piece, the little match girl passion. Everyone knows that Carnegie Hall is central to the cultural life of the city, but it is also central to the cultural life of me! I am very, very happy to be associated with Carnegie Hall and I am looking forward to having a really fun season." Creating New Music marks the first time that he will lead one of the Weill Music Institute's Professional Training Workshops. The workshops—presented several times each season—are unique opportunities for emerging professional artists to explore performance and rehearsal practices as well as specialized repertoire with some of today's leading musicians. A travel stipend and housing for participants from outside New York City is provided by Carnegie Hall. The workshops are tuition-free for participants and open for observation by auditors. Information on upcoming workshops and online applications are available here. Musical America, now in its third century as the indispensable resource for the performing arts, announced the winners of the annual Musical America Awards, recognizing artistic excellence and achievement in the arts. The annual Musical America Awards, sponsored by Deutsche Grammophon will be presented in a special ceremony at Lincoln Center on Thursday, December 6. David Lang's early music, laced with elements of rock and minimalism, was at once bracing and controversial, heavily influenced by the Bang on a Can school he co-founded. As he tells critic Tim Page in Musical America's tribute, however, "People should change as they get older, and I did." Lang's the little match girl passion, set not for rock band but for a rarified quartet of two sopranos, tenor, and bass-baritone, all of whom play small percussion instruments, won the 2008 Pulitzer Prize. A setting of a Hans Christian Andersen fairy tale, it has been performed several hundred times internationally and also has been staged and choreographed. He made his New York City Ballet debut withplainspoken in 2010. Among numerous commissions, his new theater work, whisper opera, will receive its premiere in Chicago early next year by the International Contemporary Ensemble (ICE). November 9-11, The Nashville Opera presents David Lang's chamber opera the difficulty of crossing a field. With this work, Lang and multi-Obie award-winning playwright Mac Wellman have created a radical cross between opera and theater mixing arias with spoken text, emotional melodies with intense drama, and featuring a string quartet as both the 'orchestra' and as part of the staging. Based on a one-page short story by American satirist and abolitionist author, Ambrose Bierce, the opera is set on a plantation in the antebellum American south where a slave owner, while walking across his field one night, suddenly disappears in plain view of his family, his neighbors and his slaves — forever altering the relationships among them. Everyone around him has a particular view of what the disappearance means and why it had to happen. The second half of the story takes the facts surrounding the disappearance and places them in the context of an inquest, as a magistrate attempts to determine whether the slave-owner, Mr. Williamson, can be legally declared dead in order to give his possessions away. For Wellman, this dual-telling of events was an opportunity to present the story from different angles and from continuously changing viewpoints; whereby, according to Lang, "we learn less about what actually happened, and paradoxically because we've learned less there's more room to project our own interpretation and emotional life." For Lang, the work is experimental: the text doesn't exactly say what it is aiming for; i.e. This is the point, let's all agree on what we know. But, Lang suggests, "you do get a sense as the opera goes on that the man's disappearance comes as a form of punishment, and everyone has a different idea eventually of what this man has done wrong." However, in Lang's and Wellman's telling, the central character of the opera is not Mr. Williamson himself, but his wife, Mrs. Williamson; in this dramatic and powerful mezzo role, the loss of her husband opens up an absence that she can neither understand nor overcome. Setting a story with such subtle complexity, this opera illuminates the narrative through its own inimitable language and gives the multi-layered subtext space for interpretation while distilling the drama into catchy, rhythmic melodies and masterfully shaped spoken word. 'the difficulty of crossing a field' is written for 5 principals and a chorus of 6 or more, with string quartet on stage. The original production was commissioned by the American Conservatory Theater for the Kronos Quartet and was premiered on March 22, 2002 at the Theater Artaud in San Francisco, directed by Carey Perloff and starring Julia Migenes as the wife of the missing planter and 2004 Tony-award winning singer Anika Noni Rose as the leader of the slave chorus, with music performed onstage by the Kronos Quartet. On Saturday September 15, Paul Hillier and Rundfunkchor Berlin give the German premiere of David Lang's Pulitzer Prize-winning composition, the little match girl passion in its arrangement for full chorus. 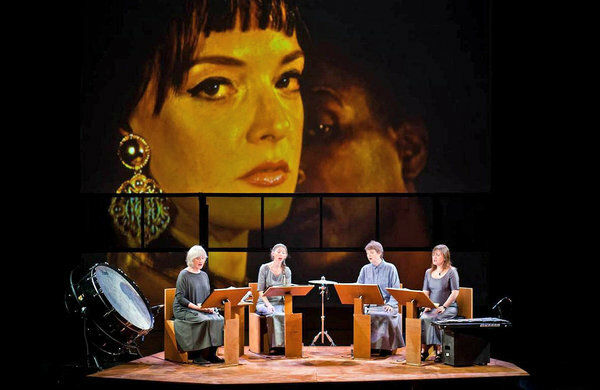 the little match girl passion, the winner of the 2008 Pulitzer Prize in music is a 35-minute work for a quartet of singers each playing percussion instruments, co-commissioned by the Carnegie Hall Corporation and The Perth Theater and Concert Hall. 'match girl' was premiered by Paul Hillier and the Theatre of Voices on October 25, 2007 at Carnegie Hall. The version for chorus was commissioned and premiered by the National Chamber Choir of Ireland, Paul Hillier conducting. Lang was drawn to Hans Christian Andersen's tale of the Little Match Girl because of its religious subtext — he saw a parallel to the Passion of Christ in the story: a girl, whose "poverty is suffused with hopefulness," is ignored by passersby oblivious both to her attempts to sell matchsticks and to her suffering as she ultimately freezes to death in their presence. In the tale, Lang suggests, Andersen draws a "religious and moral equivalency between the suffering of the poor girl and the suffering of Jesus." For Lang and other Jewish classical musicians, the Western vocal tradition of Christian music presents a dilemma they must confront. In the little match girl passion, Lang hoped he could turn that dilemma to his advantage. Using the format of J.S. Bach's St. Matthew Passion, Lang combined the Andersen tale with his own text and text from both the Book of Matthew and Bach's Passion — replacing the story of Jesus with that of the Match Girl. In his notes on the work, Lang explains, "There is no Bach in my piece and there is no Jesus — rather the suffering of the Little Match Girl has been substituted for Jesus', elevating (I hope) her sorrow to a higher plane." The commercial recording of the little match girl passion, released on Harmonia Mundi, received the 2010 Grammy Award for Best Small Ensemble Performance. On Saturday July 14 at 8pm at the World Financial Center Plaza, Lang's hour-long, slowly-evolving work for strings, darker, is the starting point for a live re-imagination by Oneohtrix Point Never (Daniel Lopatin), who will real time loop and electronically process the live string sound of A Far Cry Orchestra back over and on to themselves. Lopatin will also present his own work with selections from of his critically acclaimed albums (Returnal and Replica) specially arranged for A Far Cry Orchestra. This performance is part of the Ecstatic™ Summer, a production of New Amsterdam Presents in association with the Kaufman Center. It is presented by River To River Festival and Arts Brookfield. Lang's newest work, love fail, premieres June 29 at the New Haven International Festival of Arts and Ideas. Performed by the legendary vocal ensemble Anonymous 4, love fail is an evening-length work that weaves together snippets of medieval courtly love narratives, short stories by MacArthur Fellow Lydia Davis, scraps from the libretto of Wagner’s opera Tristan and Isolde, and text by Lang himself. Out of these sources, Lang has conjured a single story, in which two unnamed lovers meet each other, love each other, and lose each other—not necessarily in that order. The piece includes lighting design by MacArthur Fellow Jennifer Tipton. The commissioners include: the International Festival of Arts & Ideas, The Kennedy Center, the Secrest Artist Series at Wake Forest University, the University of Iowa (Hanover Auditorium), and the Brooklyn Academy of Music’s Next Wave Festival. Read a review of the work here. This weekend, David Lang wrote a fun article for the New York Times! "...It’s like car mechanics talking about the wiring under the hood — good wiring is essential but cars exist because ordinary people need to get places. So I was feeling isolated from the audience, and itching to get back into the real world, where the real listeners live..."